One word – Exuberant – that perfectly describes my current state of mind. Since childhood I have had this fascination towards them. 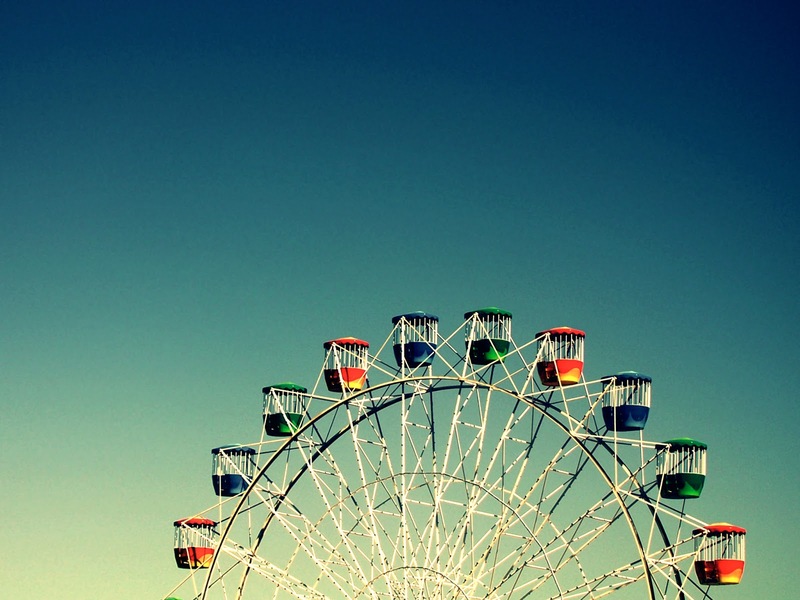 I was 6 years old when my mother had taken me to a funfair for the first time. The colours, the music, the laughter in the air, the rides and the excitement which I could smell in the air, all this made it such an enthralling site. I was almost galloping my way into the fair and my mom had a tough time trying to control me. I was so excited that I kept running from one corner to the other telling my mom all that I wanted to do. This one and then this one as well… I was screaming running hither thither. And finally we reached a giant wheel at the end of the fair. It was humongous. The moment I saw it I knew I was in love . The height, the colors.. Almost everything about it was fascinating. I just could not take my eyes off. After what seemed to be some light years I turned around to look at my mom with pleading eyes requesting to be permitted to sit on this one. One glance and I knew the answer. I made the most pitiable face I could (having mastered the art of cajoling her by now) and said in my sweetest tone – Please Ma… I so wanna be there! After a lot of cajoling her she reluctantly gave in knowing very well that I am not coming home without sitting on this ride. I sprinted myself to the main ride as that person locked me up in one basket. Slowly it started moving…..up..Up in the air… slowly…. It felt out of this world as I felt butterflies in my stomach for the first time. This was better than being on the swing I thought as it reached the tallest point it could. I tried looking down and saw people looking as tiny particles…. One glance around and all that I could see of my city was an array of fairy lights. It looked so breathtakingly beautiful! And it was time to come down again… gradually it picked up speed. One round and another, each one faster than the previous one. I was enjoying this ride more and more with each round. I was laughing like anything and the only thought in my mind was these little birdies get to do it every day. It’s so much fun to be flying… yes I was flying . That was the moment when I had fallen in love with giant wheels and flying. Till date after almost 2 decades of that first experience it still fascinates me as much as it did then. For I start singing my favourite song on it – My dream is to fly over the rainbow so high! 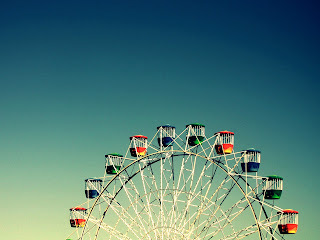 A spin on the gaint wheel takes one to greater heights and a person tends to lose fear of spped and height. It's a thrilling experience. Oh yes Kajal I agree.. it is something out of this world. And yes please do try and lemme know how you fell in love all over again! Oh! You collected delights from heights and heights and flights always charm people.A very delightful post,me.